Ship captains are advised to avoid spoiling their ship for the cost of halfpenny worth of tar. Glaciologists should avoid spoiling their ice cores for the cost of an ice curve chronology. The 3270 metre long EPICA ice core from Antarctica ends five meters above the bedrock. On Tuesday 21th of December 2004 a European team involved in Epica (European Project for Ice Coring in Antarctica) reached the drilling depth of 3270.2, which is five meters above the bedrock at Dome C, on the central plateau of the east Antarctic ice sheet. Dome C, also known as Dome Circe, Dome Charlie or Dome Concordia, located at Antarctica at an elevation of 3,233 metres (10,607 ft) above sea level, is one of several summits or “domes” of the Antarctic Ice Sheet. Dome C is located on the Antarctic Plateau, 1,100 kilometres (680 mi) inland from the French research station at Dumont D’Urville, 1,100 kilometres (680 mi) inland from the Australian Casey Station and 1,200 kilometres (750 mi) inland from the Italian Zucchelli station at Terra Nova Bay. Russia’s Vostok Station is 560 kilometres (350 mi) away. Dome C is the site of the Concordia Research Station, jointly operated by France and Italy. The EPICA ice core chronology is said to cover 740,000 years. The core goes back 740,000 years and reveals 8 previous glacial cycles. The 70 meters of ice drilled this season completes a long venture started in 1996. 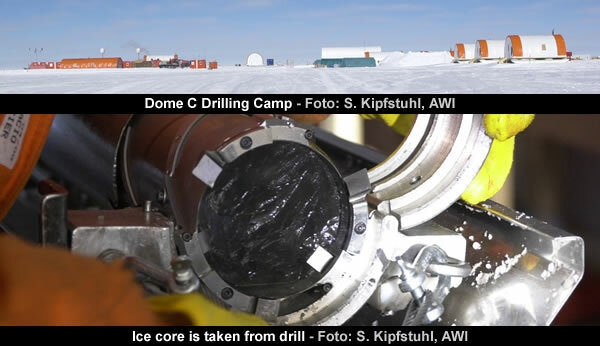 The new piece of core will extend the record to an age estimated to be more than 900.000 years old. The EPICA chronology begins at 6.6 metres and is dated to 1912 i.e. 38 years before 1950. However, it would take 264 years to accumulate 6.6 metres of Concordia Station precipitation at the current rate of 25 mm/year [water equivalent]. Present-day annual average air temperature is −54.5 °C and snow accumulation 25 mm/y. Therefore, it can be argued, the EPICA ice at 6.6 metres should be about 264 years old. 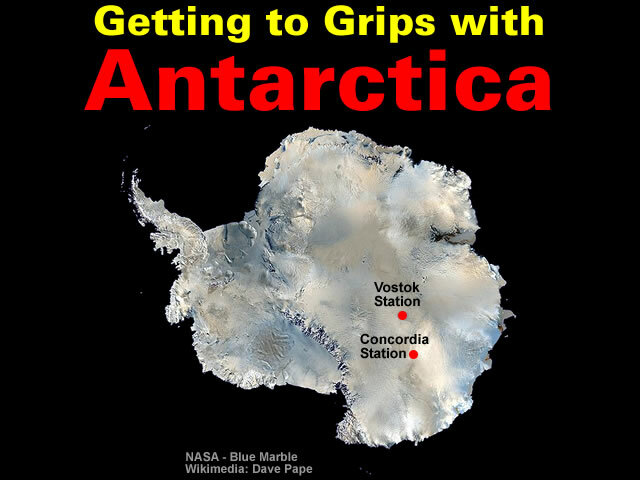 Interestingly, Jaworowski raised similar concerns about the Siple [Antarctica] chronology. The last 3.85 metres of the EPICA core are said to represent 4,892 years in the chronology. This equates to an average of 0.79 millimetres per year in the bottom ice. This might be very difficult to validate because the EPICA bottom ice contains some ice crystals that are “bigger than 40 centimetres”. The basal ice has ice crystals, some bigger than 40 centimetres and we have observed many inclusions of brown/reddish material mainly between the big ice crystals. The first 200 metres of the EPICA chronology creates a fairly sensible looking ice curve projection. But the EPICA ice curve only starts to approach the current accumulation rate of 25 mm/year [water equivalent] at 200 metres i.e. 100 metres too deep. And below 200 metres the EPICA chronology stops paying lip service to the ice curve and succumbs to the temptations of maths and models. This leaves only the deuterium data as a guide to the real EPICA chronology. A notable feature of the deuterium trace is it’s distinct narrative style consisting of three regimes. The three regimes can be matched to Leona Libby’s Old Japanese Cedar Tree chronology. This matching of the two traces places the beginning of the EPICA ice core at about 800 CE and suggests the ice in Antarctica started to form about 100 years before the ice on Greenland. More specifically, it suggests the ice in Antarctica started to form soon after the sand layer appeared in the Northern hemisphere around 760 CE. This might explain why a “brown/reddish material” is found in the EPICA bottom ice. The transition to the middle regime between 1300 and 1400 CE appears to be associated with the events surrounding the Late Paleocene Event and the extinction of the Moa. Finally, the transition to the current climate regime around 1700 CE is associated with the events surrounding the Maunder Minimum. But, as always, Earth Scientists and mere mortals are free to draw their own ice curves. Gallery | This entry was posted in Catastrophism, Comets, Earth, Glaciology, Great Greenland Snow Job, Greenland, Heinsohn Horizon, Maunder Minimum, Monte Rosa - Colle Gnifetti, Old Japanese Cedar Tree. Bookmark the permalink. Reblogged this on Louis Hissink's Crazy World. Wonderful piece – Points to yet more drastic recast9ing of even the most revisionist and catastrophic assumptions. 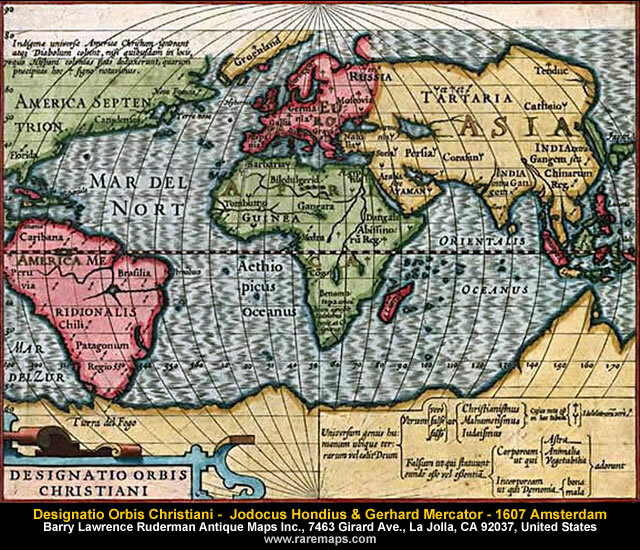 How recent were Charles Hapgood’s “Maps of the Ancient Sea Kings” when Antarctica and Greenland were free of ice. Pre Maunder Minimum period,(MM), post Roman Termination Event, (RTE), 930 CE. I would contend the Maunder Minimum marks chronological limit of our present day solar system configuration, and before that it’s problematical, so that 930CE is a real but inaccurate fabrication by extrapolating the present-day geometry to the past. You can assign numbers to the chronology backwards from today to the Maunder Minimum, but before that, not. We can however, rank events in terms of succession from stratigraphic principles. Noted in another post on this site; video material, quote: “In any attempt to understand a complex truth, what is required is a multiplicity of points of view – a width of methodologies and epistemologies – a ‘Narrative Pluralism’”. Unless evidenced by incontrovertible facts, multiple sources that are unconnected to the main ‘argument’ are a better source of insight. For this question the source below can be fruitful. There is data on Wiki that puts Gisp2 and Vostok ~1100 years out of step (contrasting with Vostok and Kilimanjaro in step). As Krakatoa has shown, major abrupt events effect the whole earth within weeks. When the adjustment was made then the three graphs told the hidden story. Please excuse the repeated linking (here: https://melitamegalithic.wordpress.com/2018/07/24/searching-evidence-update/ ) but this has been subsequently corroborated repeatedly. EPICA can be made to release its true secret.